"[A]n enthralling read. 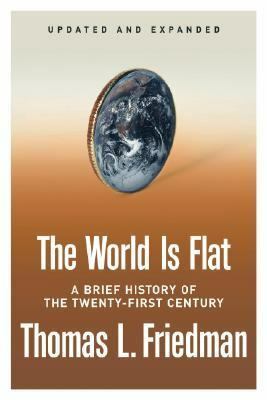 To his credit, Friedman embraces much of his flat world's complexity, and his reporting brings to vibrant life some beguiling characters and trends....It is also more lively, provocative and sophisticated than the overwhelming bulk of foreign policy commentary these days....[A] terrifically stimulating book...."Thomas L. Friedman is the author of 'The World Is Flat [Updated and Expanded]: A Brief History of the Twenty-first Century', published 2006 under ISBN 9780374292799 and ISBN 0374292795. Loading marketplace prices 110 copies from $0.17 How does the rental process work?